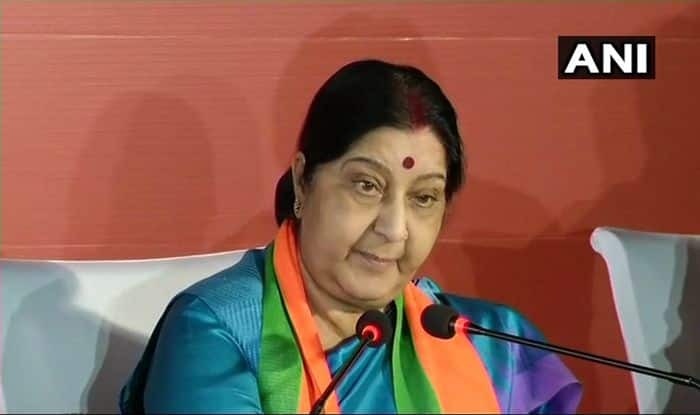 New Delhi: Foreign minister Sushma Swaraj and the Ministry of External Affairs are giving top priority to Indian students who have been arrested in the United States for enrolling at a fake university allegedly to remain in the country. Indian authority also issued a demarche to the American Embassy. One-hundred-thirty foreign students arrested by US authorities for enrolling at a fake university allegedly to remain in that country are largely Indians. The Immigration and Customs Enforcement agents made the arrests on Wednesday. “Our concern over the dignity and well-being of the detained students and the need for immediate consular access for Indian officials to the detainees was reiterated,” the tweet read. Prosecutors claimed that, in a ‘pay-to-stay’ scheme, students intentionally enrolled in the fake school to falsely maintain their student visa status and remain in the foreign country. Reports claimed that most of the affected students belong to Telangana and Andhra Pradesh. The arrests were made across the US, in New Jersey, Atlanta, Houston, Michigan, California, Louisiana, North Carolina, and St Louis on Wednesday, the same day federal indictments were unsealed that charged eight people, all of whom are either Indians or Indian-Americans, in a visa fraud scheme. Meanwhile, the Indian embassy in the US has opened a 24/7 hotline to assist 129 Indian students arrested by the American authorities in the “pay-and-stay” university visa scam. The arrested students, their friends, and family members can contact the embassy at cons3.washington@mea.gov.in. The Indian embassy has also appointed a nodal officer to handle and coordinate all issues related to helping Indian students affected by the bursting of the “pay-and-stay” racket run by a group of Indians that has put some 600 students under trouble.